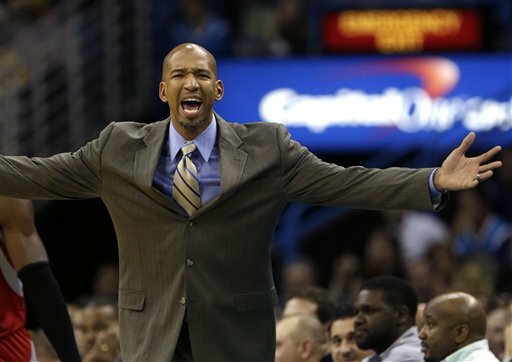 The New Orleans Pelicans announced the firing of head coach Monty Williams. And despite a 45-37 record and a playoff appearance, it should come as a surprise to no one. There are reports surfacing that general manager Dell Demps pushed out Williams in order to get more power in the organization. Whether or not that may be the case is irrelevant to me for the simple fact that I felt this team needed to make a move in order to take that next step. Williams was a good coach to help the growth of some of these young guys, in particular budding superstar Anthony Davis. But in my mind he’s just about hit the ceiling with this group of a guys and the Pelicans could use a coach maybe in the Brad Stevens build to get creative and take this team to the 50-win level. Getting the next Brad Stevens is obviously no easy task. Maybe Billy Donovan was that guy? Maybe Fred Hoiberg could be the next guy? But this organization needs to go forward with the right fit. And if the Chicago Bulls are foolish enough to cut ties with Tom Thibodeau that’s the first guy they should go after. Maybe the Pelicans waited until now to fire Williams for a reason. A possible anticipation of the Bulls losing their second-round series against the Cavaliers in about a week. Gives them just enough time to start throwing out rumors and grab his attention? Who knows. Clear speculation there. But nevertheless, that’s the route they should go.